You always have to know your role — what you are trying to accomplish. Our mandate is not to develop world champions. We are here to take care of the neighborhood….. develop children who have a well-rounded background. 1. What led you to the mission of being a tennis professional? I grew up in Warson Woods — not too far from where I work now. It was a very nice place. In our little community we had three tennis courts and a swimming pool. All of my brothers and sisters learned to play tennis. My parents also played. I started playing at about seven or eight years old and have been playing ever since. I found that when I was a teenager, I was quite good, so I started teaching at the various local tennis clubs. 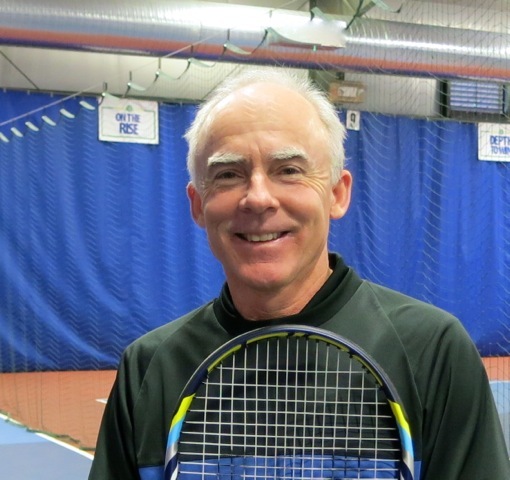 I became very good friends with a tennis pro named Jack Averill and I began to help him teach. He was about twenty-five and I was about seventeen years old. I enjoyed teaching tennis a lot. I was outgoing and felt very comfortable with adults. I went on to play college and professional tennis. I found that whenever I was playing in a tennis tournament in another city, I always had the opportunity to interface with the members of various clubs. So many of the players were self-centered and didn’t want to pay any attention to the local membership. I always found myself being drawn to helping in the clinics getting to know the members. I always knew I would end up teaching tennis. I wasn’t motivated by money. I wasn’t motivated to be a businessman or a Wall Street banker. 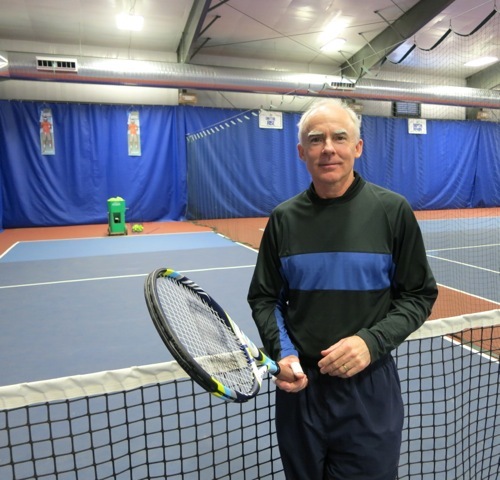 I knew I wanted to be involved in teaching and so since 1982, I’ve been teaching tennis. I’ve stepped up in my responsibilities as one of the owners and I manage the club, but I still love being out on the court. You always have to know your role as far as your business is concerned – what you are trying to accomplish. Our mandate is not to develop world champions. We aren’t trying to create the next Wimbledon Champion or the U.S. Open Champion. We are here to take care of the neighborhood. 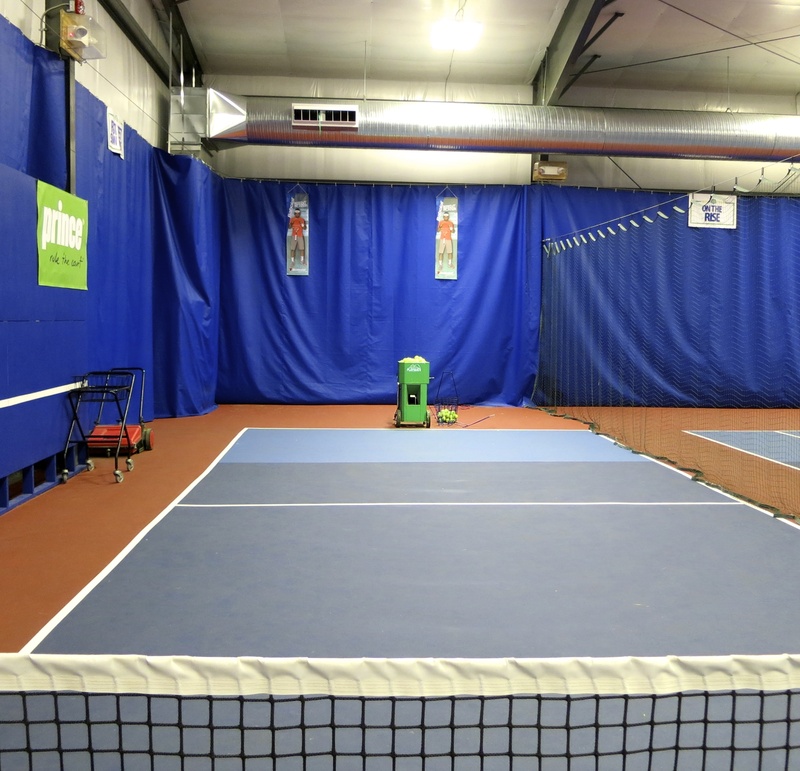 We know that the kids may also have a guitar lesson, violin lessons, or school studies and their lives may not revolve around becoming a high-level tennis player. What we’re really trying to do is develop children who have a well-rounded background. We have about a dozen tennis pros here. When I hire them and when I mentor them as young twenty four, five, or six year olds, I talk to them about how being a tennis pro doesn’t really have a lot to do with tennis. It has more to do with your personal relationships with your clients. 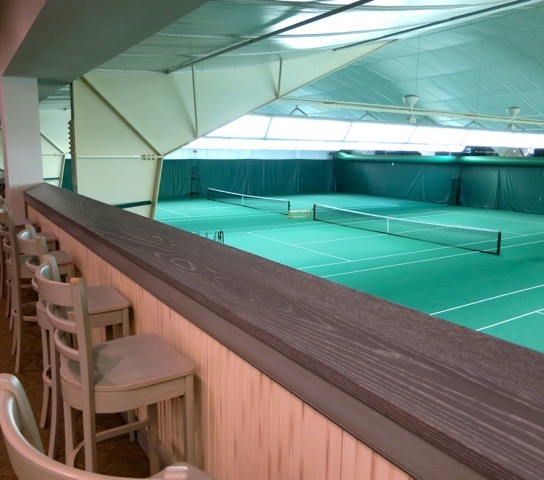 There are a number of reasons why people come to take a tennis lesson. Not always is it for tennis. We get wives who are unhappy at home. This is an hour window of peace before they have to go back and pick up their children. Their husbands might always be working. Or you might get a spouse who comes in and is overweight. This person might be walking on a treadmill and wanting to come in for the interpersonal communication that goes along with tennis lessons. We have about three hundred and fifty kids in our program. The parents pay a lot of money and are counting on us to create not just a pretty stroke – but also a pretty person. I talk to the young tennis pros who are coming out of college, are very competitive, and are focused on winning and losing. I have to rearrange their priorities to get more in line with my view that they are providing people with wonderful opportunities and it happens to be on a tennis court. 3. 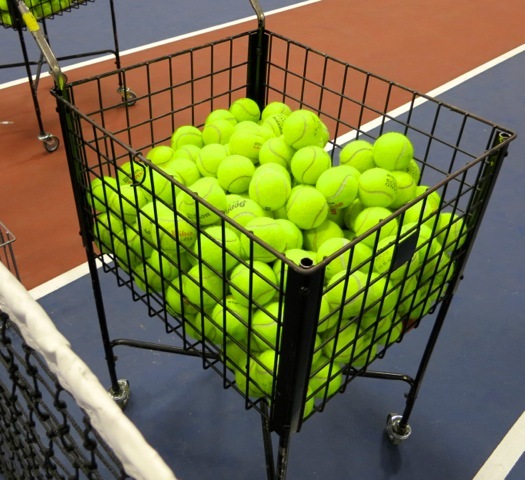 What was your best day as a tennis professional? There are three days that come to mind. 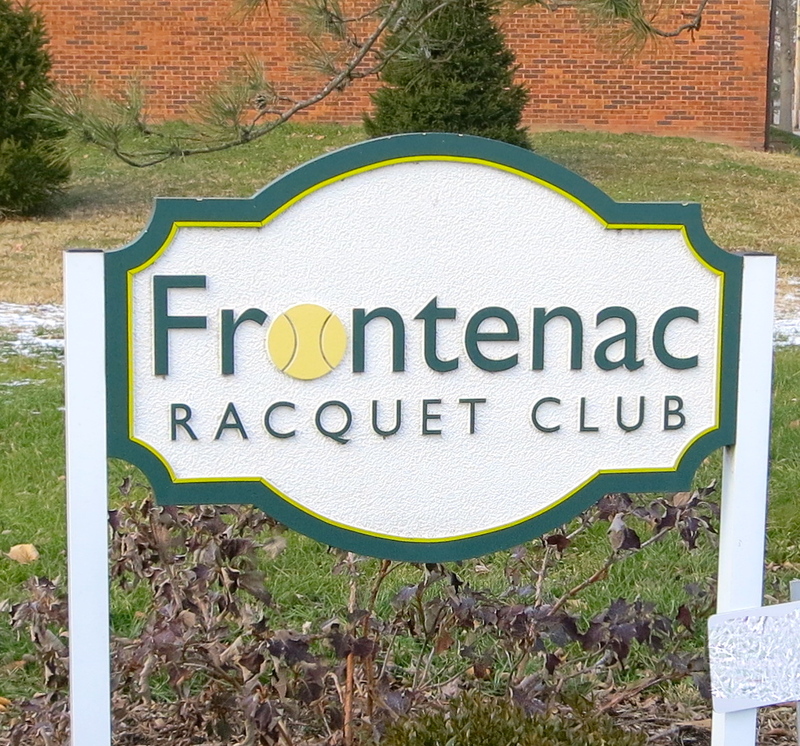 One was when I was married and teaching here at the Frontenac Racquet Club. I would go and play tournaments away from here. Once I stayed in a women’s home. Her name was Fredna and she was always bubbly. She would get up in the morning and say, “Happy morning to you! Happy match! Happy trip!” She used adjectives that were always rich and bouncy. I was about twenty-four or five and I couldn’t figure it out. I thought, “Wow, this women is off at one end of the spectrum.” A year later I found out that she had cancer and died. That was one of these defining moments. I had spent a week with her and she was so nice. Various members thought she was odd because of her personality. But for me it was a very grounding experience. Another experience was giving lessons to a woman who was in her early thirties or forties. Her husband got sick and passed away. I spent two or three times a week with her. We would hit tennis balls. It was very quiet. I didn’t give her a lot of feedback. She was just looking to get out and try to find some sense to what had happened in her life. She had two children and her husband had passed away within six or seven weeks and so that was a defining moment for me. The third time is about Sheldon Voges. He came to me after a stroke. He loved to play tennis. Sheldon couldn’t move his right arm or left leg real well. He could “kind of” walk. I said, “Why don’t we teach you how to play left handed.” So that’s what we did. For ten years we spent a half an hour a week together. He couldn’t even get close to hitting a tennis ball when we started. Ten years later, he was a beautiful tennis player. At some point he passed away and I went to his funeral. 4. What was your worst day as a tennis professional? The tennis answer in the sterile arena would be this. I was playing a fellow – Lloyd Bourne – in quite a large tennis tournament. He was ranked eighty in the world. This is quite high. I won the first set. I lost the second set. I was up in the third set – five to zero. I lost seven straight games to lose the match. That was a very humbling day on the tennis court. As tennis pro in the teaching sense, I can’t say I have had bad days. As the manager of the club, I deal with a fair amount of complaints and issues, but I don’t ever view them in a negative context. I always view them as an opportunity to increase our effectiveness and provide the membership with what they are looking for. I haven’t had any bad days as tennis pro. Maybe when the toilet overflows in the camp room – those are bad days! I’m one of six kids and almost all the kids in my family have a really bright outlook on life. It came down through our parents. Having a bright outlook is not always an asset. Sometimes I see things rosy that really aren’t rosy. But I’d much rather be upbeat and positive about things rather than down and negative. I have five children. Ever since they were very young, I have talked to them about how you have to make a decision every morning when you wake up. You can choose how you want to react to everything that happens to you. Nothing will go right. That is a given. It’s really how you choose to respond to whatever issue is out there. The way I help teach or coach my kids when they are young is to make a determination that you are going to have a good day. You are going to treat every issue with a smile and get past it. There isn’t a day that you will not have issues you wish didn’t occur – whether it be somebody cut you off in a car or somebody doesn’t pay their bill or a little boy knocks his teeth out on the court. You have a choice. You have a choice as to how you want your life to be. You are what you think about.